Добрый день, дорогие друзья! 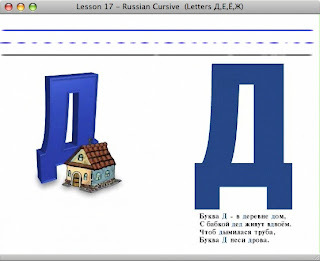 You are listening to and viewing 'A Spoonful of Russian' podcast, where we learn Russian 'one bite at a time'! I am your host, Natalia. Давайте начнём (Let us begin)! First, I want to take just a few seconds to thank all those who contributed to this show either by donating through PayPal, purchasing products with 'Spoonful of Russian' logo at my cafepress.com store of going to russiantable.com online grocery store via the link on the right. Thanks to you I was able to purchase Snapz Pro X software that enabled me to record visual lessons for you, just like this one. I'd like to ask my listeners to e-mail me short accounts of the reasons behind your interest in Russian language and culture. You can either shoot me an e-mail telling me why you love Russian or send me a short audio. If you want me to play it on the show, let me know. Всего хорошего и до скорой встречи (All the best, and see you soon) ! Hello, Natalia. I learned a little Russian back in college and only recently rediscovered your site. I'm so glad to find a site like this because it helps me build on what little I remember from college. It's a sincere pleasure to get back into studying Russian again. Thanks for your site. I just found your podcast! I am so excited. I know a little Russian, but do not have time to take a regular class. This is going to be perfect! Your podcast is so well done--I love the mixture of language and culture! It is a great tool for all ages. Thank you! Hi, I just wanted to say i have developed a love for Russian because i plan on moving to russia in the next two years. I met a wonderful russian girl through work and we have fallen in love. We have decided to get married and i will move there once i finish school and pay my loans off. Your podcasts have helped me begin learning russian, and are a great compliment to a language program i purchased called Rossetta Stone. Thanks for helping explain things a better then a computer can! Hello Natalia! A lot of my friends are Russian, and I've always wanted to speak to them in Russia, and when I told my one friend that I am learning Russian, she said her mom would love that, and she made me talk to her mom in Russian! I am learning some other languages, but Russian is one of my favorites! Thank you for the podcast! I enjoyed studying the German language in college. I guess I am interested in Russian because, like German, it has interesting sound combinations. Also, the cryptic look of the letters has always intrigued me. Now, thanks to your podcast, I understand the letters better and have even been able to decipher Russian words I've never seen before. If I might add one suggestion... It might be helpful to keep the background music a little lower (or, drop it out entirely) on the parts of the podcast where you are providing spoken Russian as part of the lesson (e.g. the phone conversation between friends). I found the music tended to make it difficult to hear the speakers' voices completely. This is probably not a problem for your more experienced listeners, but as a total newbie, I don't think I got that part as well. It is also very helpful when you repeat a new word or phrase slowly. Thanks again for making such a wonderful and exciting podcast! I feel I have truly benefited from listening to this podcast. Hello, Natalia. My name is Alexandra. I just want to let you know that I appreciate your site a great deal in helping me relearn my native language. I was born in Kovrov, but I haven't spoken an ounce of Russian since I was five or so. What little I remember comes in handy when conversing with my friends (who are Romanian, Russian, and Lithuanian) due to some of the similarities in language, and with my boyfriend's family (who are Polish). But I'm not satisfied with knowing so little. The pronunciation still comes naturally to me, so I enjoy speaking a long with you! I plan to also study linguistics and instruct people in learning new languages, so even your method of approach helps me learn! Feel free to drop me an email if you're ever bored (underink@gmail.com).